Liu Jie es fundador y director de A Thousand Plateaus Art Space en Chengdu. Ha planeado varios proyectos de arte en los últimos 10 años. Lu Jing (Rain) es fundadora y directora de L-Art Gallery en Chengdu. Ha realizado la curaduría de numerosas muestras y eventos públicos. How to perceive history and the scene of modern and contemporary China, and how to understand the history and time against this backdrop? How to write the present history for the future? How can the understanding of the general and specific time and space be fused into individual creation of contemporary art? 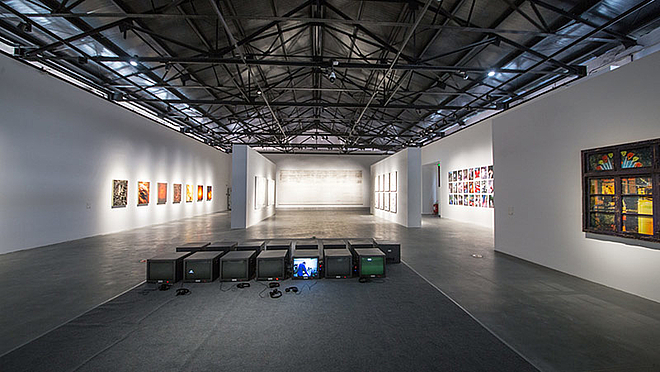 How will these art works prompt us to observe the reality of today’s China and the historical sample of site-specificity? The artists and art works selected take the multi-dimension of time as the sequences whose interconvertibility gives life to a marriage and cycle between the forms and the theme of the exhibition: the cycles starts from the time when the exhibition happens and its real-time moments gets recorded, moves into the chronological periods of specific histories and the physical time fixed by certain time and space. During the process, an abstract psychological time based on individual perception has been generated; and different psychological time of individuals jointly form a more extensive and conceptualized time linking to the history-writing of a region and a nation. At last, such a macro perception of time goes back to the specific beginning, that is, as what Anren has cued, the memory field built by specific time and space.